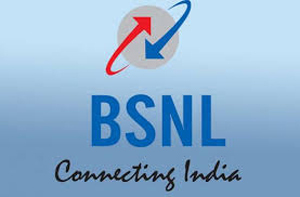 Mangaluru, Apr 04, 2019: The Dakshina Kannada BSNL Contract Workers’ Association has threatened to boycott the upcoming Lok Sabha elections in protest against the non-disbursal of pay to the contract workers since the past six months. Speaking to reporters here on April 4, Thursday, the Association President Abdussalam said the contract workers were in great hardship and were forced to avail loans to eke out a living. He said with no funds in hand, the contract workers have abstained from work since April 1. He said though the Association planned a protest, the proposal was dropped in the wake of elections and a memorandum has been submitted to the Deputy Commissioner. He said a total of 693 contract workers and their families will boycott the elections. The contract workers are working under two agencies and whenever they sought wages, the agencies have been saying they have not received funds from BSNL, Abdussalam said and alleged that repeated appeal to MP and Labour Department officials have yielded no result. Office bearers of the Association, Sridhar, Jagannath, Subrahmanya Bhat and others were present.